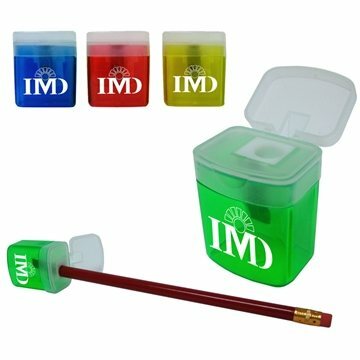 A desk accessory that's ideal for both schools and offices, this translucent pencil sharpener stores shavings in the bottom and features a lift-off top for emptying the contents. With your company name, logo or message imprinted on such a popular writing accessory the promotional possibilities are many! Choose the color that suits your project needs then give out the finished products at the next tradeshow or conference you attend. Product was created and supplied with quality and efficiency. the product was exactly what I was looking for.Rose was very helpful.